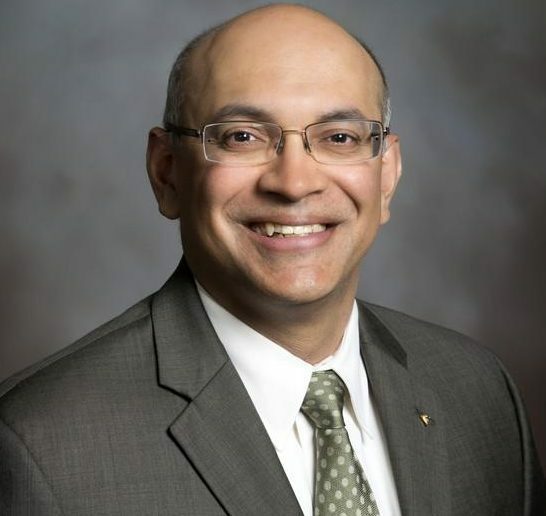 Sanjay Raman, associate vice president for the Virginia Tech National Capital Region and president and CEO of the Virginia Tech Applied Research Corporation, has been named the new dean of the College of Engineering at the University of Massachusetts Amherst. The announcement was made by John J. McCarthy, provost and senior vice chancellor for academic affairs. Kris Hollot has agreed to be Interim Dean of the College of Engineering during the period January 6, 2019 through August 31, 2019. He has been head of the Department of Electrical and Computer Engineering since 2006. Candidate recommendations and applications for the position of Dean, College of Engineering are being received by Isaacson Miller, the search firm assisting UMass Amherst with the search. Visit the position announcement for more information, to make an nomination, or to apply for this role. The search committee to identify a successor to Timothy Anderson is co-chaired by Tricia Serio, dean of the College of Natural Sciences, and Vice Chancellor for Research and Engagement Michael Malone. Committee members are Neal Anderson, professor, electrical and computer engineering (ECE); Michelle Budig, vice provost for faculty development; Caitlyn Butler, associate professor, civil and environmental engineering (CEE); Tammy Haut Donahue, department head, biomedical engineering; Lixin Gao, professor, ECE; Michael Henson, professor, chemical engineering; Ana Muriel, associate professor, mechanical and industrial engineering (MIE); Richard Palmer, department head, CEE; Shelly Peyton, associate professor, chemical engineering; Shannon Roberts, assistant professor, MIE; Paul Siqueira, professor, ECE; Alyssa Ryan, GSS representative, and Nicholas Flanagan, SGA representative.